Regardless of where you are in your wedding planning journey — from the first stages of inspiration hunting to picking out the final finishing touches — The Knot Shop is on hand to assist you with finding the right wedding decorations. 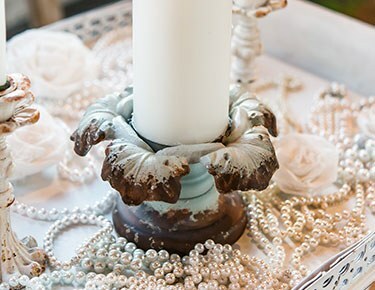 We have an overflowing, hand-curated assortment of must-have wedding decor, including candle holders, flameless candles, fabric flowers, votive candle holders, shepherd hooks, LED string lights and an unbeatable variety of to-die-for wedding lanterns. All of these items come in multiple varieties to suit your theme.For a vibrant way to illuminate your venue, make sure to explore our variety of cheap lanterns for wedding decor. 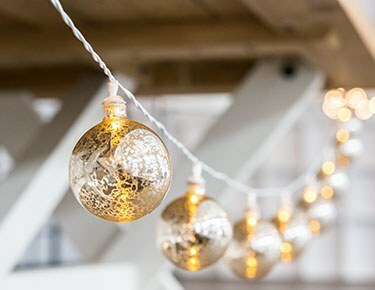 These high-quality yet low-priced lanterns come in many shapes and sizes, from suspended styles that are great as hanging wedding decorations to darling tabletop styles that house tea lights or favors. 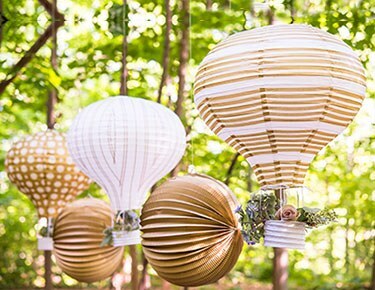 Add a fun atmosphere with some of our printed wedding balloons or add a laid-back feel with our paper garlands. 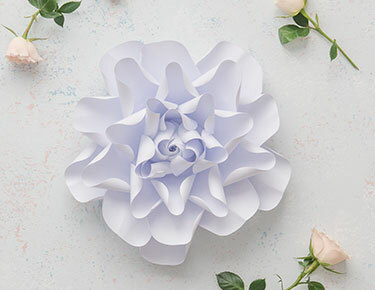 These cute wedding decorations are also great for bridal showers, engagement parties and bachelor/bachelorette parties.